two-bedroom apartment in the center in a quiet street. 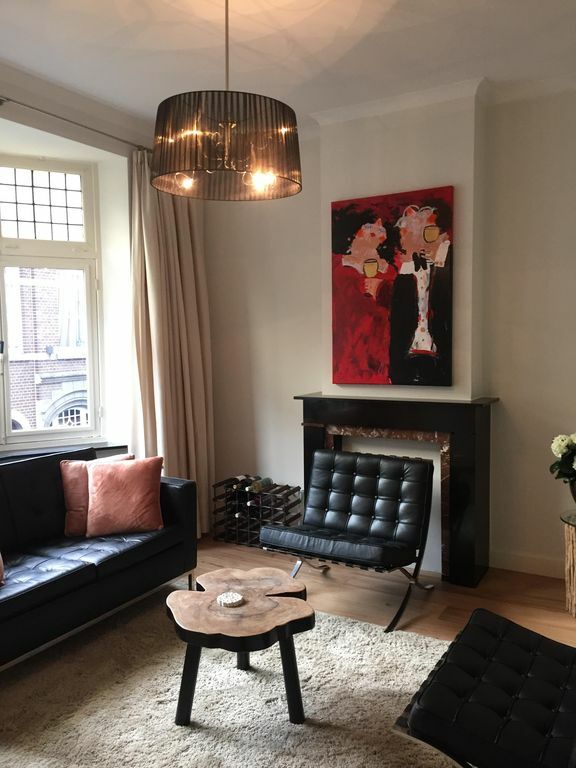 NEW Beautiful home with 2 bedrooms in the center of Maastricht, in the most beautiful district, the Jekerkwartier. The house is 3 minutes walk from the Onze Lieve Vrouweplein and Vrijthof. All the sights and good restaurants are nearby. This home offers 100m2 of living space with 2 bedrooms including quality beds, private entrance, cozy living room, kitchen with dishwasher and a bathroom. Wi-Fi and TVs. There is also a free private car park at 10 to 15 minute walk from the house. In this house you feel like you're a real Maastricht to. Super Apartment in great location! This apartment was very clean and easy to use. It has also an incredible location in the heart of Maastricht. Erica, the owner, was very helpful and easy to work with. We would definitely seek to return to the next place the next time we are in Maastricht! Die Wohnung ist super ausgestattet und die Lage hervorragend!